Conversations need a place to start, and common ground on which to build. Open dialogue, ongoing and constructive, is the basis for collaboration that leads to meaningful change. It is how things get done, and how we strengthen and sustain our work and our community. Throughout his career, S. Dale High has started and fostered these conversations. His philosophy of servant leadership and his vision for lifting people up is reflected in Lancaster, throughout Central Pennsylvania, and beyond. It is in honor of Dale’s legacy that the third generation of the High Family helped to fund and dedicate The S. Dale High Leadership Center. 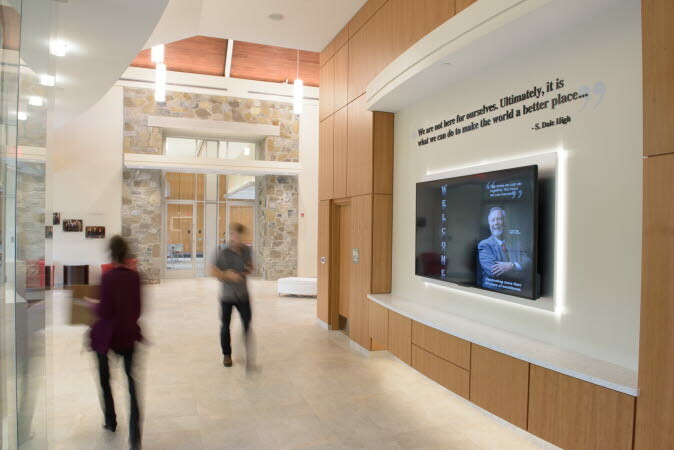 The Leadership Center represents the entrepreneurial, innovative spirit and culture embraced by the High Family over many years. 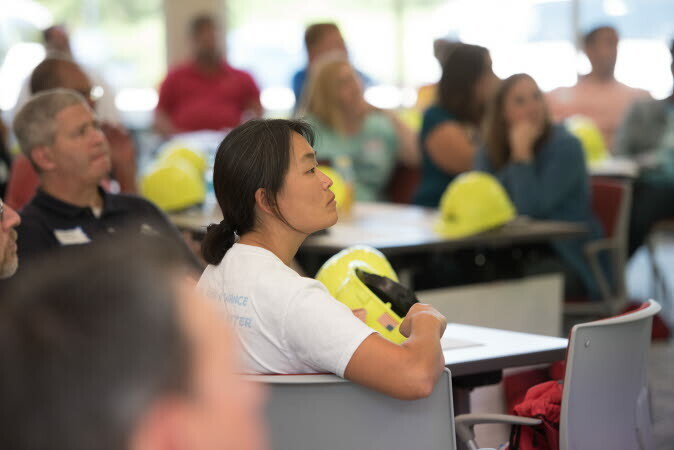 It acknowledges Dale's belief that business has a role in solving community problems, and that the role is fulfilled through servant leadership. Welcome! Let’s get the conversation started. 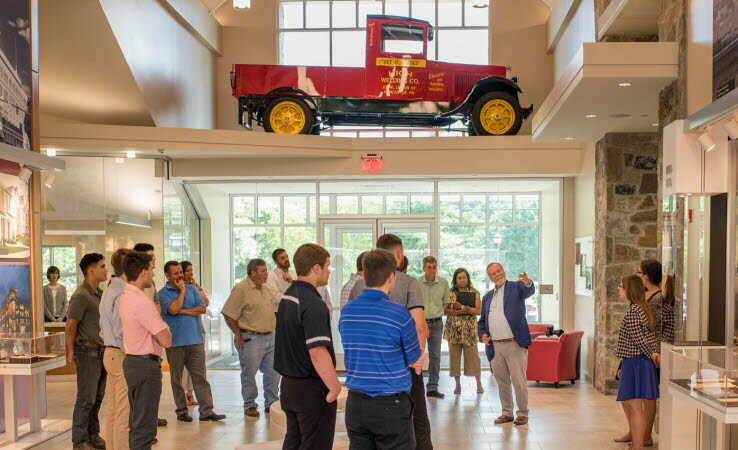 The Leadership Center is a new venue for learning, growing, and collaborating, and bringing about positive change in the Lancaster community and beyond. Would you like to join the discussion? There's something about the right environment that makes experiences more impactful. When you're serious about communicating, lightening the mood can pave a path to enlightenment. 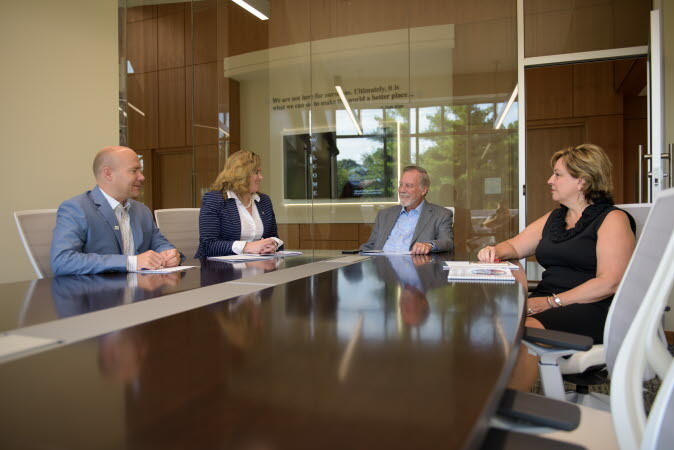 Our meeting spaces help you find the big ideas that drive success. High CEO Mike Shirk talks STEM education with a Lancaster-area teacher. We believe that business has a role in solving community problems. 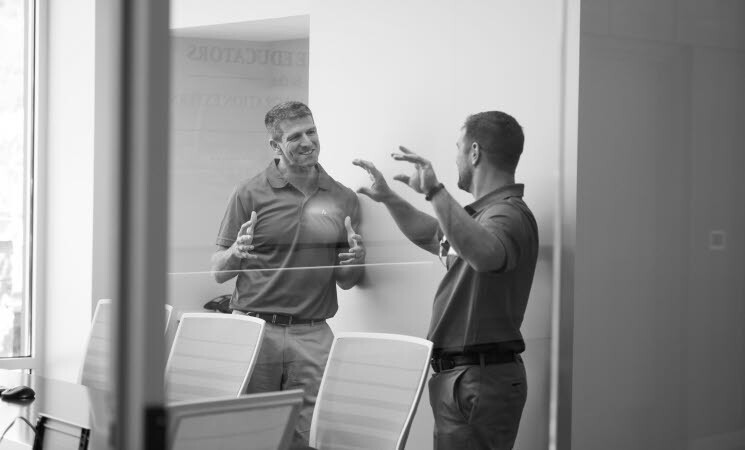 The Leadership Center is a place where that belief is put into practice. Another collaboration is about to get underway. Why not yours? Service to our organization, our customers, and our community is what it means to be a leader. 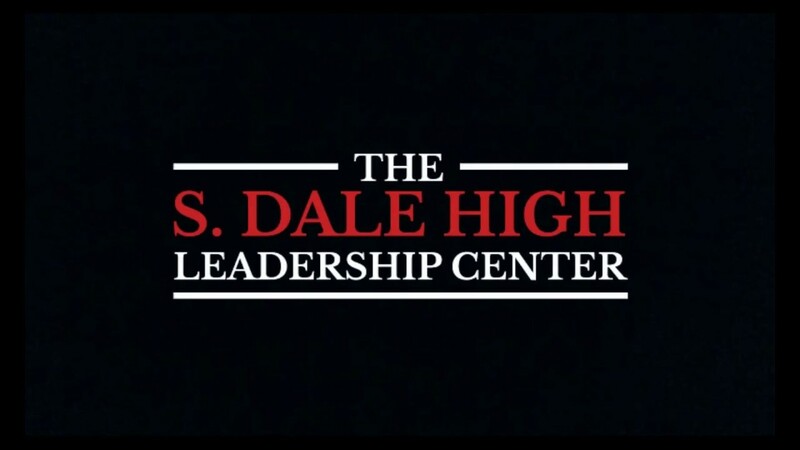 To get in touch with someone regarding The S. Dale High Leadership Center, or for more information, send us a message. For more information on the S. Dale High Family Foundation, please fill out the form and someone will get back to you as soon as possible.